‘We do not inherit the land from our ancestors; we borrow it from our children.’ Neither Europeans nor Americans with any sense of sustainability could possibly disagree with this slogan, printed on a postcard issued in 2015 by the U.S. Sustainability Alliance. Despite this consensus, there are differences in the pace and approach of sustainability assessment on both sides of the Atlantic. The time is right for a shared interest in converging both approaches. In the historically fragmented old world, agriculture was the backbone of the creation of a common political and legislative framework currently known as the European Union. Today, the EU’s Common Agricultural Policy whose origins date back to the 1950’s, is still impacted by fragmentation. Within the current 28 EU member states, agriculture is characterized by a diversity of farm sizes, agricultural structures, production practices and competitive abilities. A common policy has to appeal to all, so the European Commission needs to take every member’s interest into account when designing this policy. Compared to Europe, U.S. agricultural policy is rooted in more homogenous soil. As such, agricultural programs designed on a federal level at the U.S. Department of Agriculture (USDA), apply to all states. In the U.S. the government has a stronger impact on the way agro-environmental programs are run. The European Commission on the other hand, needs to give member states more leeway within their territory in the implementation of the agricultural guidelines it established. In 2014, President Obama compared the new Farm Bill with a Swiss Army Knife, given the versatility of this legislation. According to the USDA, this bill creates jobs across rural America and it expands markets for agricultural products both in the U.S. and abroad. At the same time, it strengthens conservation efforts, creates new opportunities for local and regional food systems and grows the bio-based economy. And, last but not least, the USDA states that the bill provides a dependable safety net for America’s farmers, ranchers and growers. In Europe, similar sounding ambitions spice the strategic goals that apply to the new Common Agricultural Policy for the years 2014-2020 designed by the European Commission in 2013. It aims for the creation of a climate that stimulates entrepreneurship, the creation of jobs and economic development in which sustainable companies play a leading role. Innovation and increasing competitive strength should not be restrained by legislation. Less and better rules that reduce unwanted complexity, and a more focused auditing and control system enabled by state-of-the-art information and communications technology, are needed for this to happen. Who doesn’t want to reconcile economic growth with sustainability gains, ensuring safe and sound food for future generations and to foster a more equal availability of food worldwide? Both U.S. and European policy makers understand that agriculture plays a pivotal role in creating this ideal scenario. Also, before the redesign of the EU Common Agricultural Policy in 2013 and the creation of the 2014 Farm Bill, policy makers both in Europe and in the U.S. used similar tools to support farmers in adopting good agricultural practices through a combination of voluntary, regulatory and cross-compliance programs. Sustainable development however, happens in a rapidly changing environment. Agriculture and our food system at large are impacted by the creation of intensive production processes on a large scale. To provide for a growing world population which more and more will live in large urbanized areas, the agricultural supply chain is increasingly international and involves not only farmers, but also seed companies, packers, suppliers of fertilizers and pesticides, logistic service suppliers and so on. And consumers are changing. In emerging markets where disposable income is rising, meat consumption is soaring which adds further pressures on the agro-food chain. This all leads to growing concerns about the resilience of the global agro-food sector. In developed markets such as the U.S. and Europe, agro-food is often blamed by concerned citizens for its negative impact on the environment without due consideration of how farming and food production will benefit future generations. Both in the U.S. and – even more – in Europe, civil society represented by NGOs, protests that economic growth prevails over sustainable gains. To them, voluntary schemes and cross-compliant programs to support sustainability and good farming practices are not ambitious enough. Cross-compliance schemes that are not well linked to environmental output can even cause long-term problems as they could serve to keep an unsustainable agricultural network alive. In Europe, opponents of what they see as unsustainable farming practices, raise their voices louder than in the U.S. European-based companies in the agro-food sector often find themselves under more pressure from NGOs than their American counterparts. One explanation could be that Europe is a major importer of agricultural commodities such as palm oil or cocoa which attract NGO attention as being produced in a way that adversely affects the environment. This in turn leads to campaigns to force importers and users – food processors and retailers – to impose guarantees that supplies such as palm oil are produced in a sustainable manner. This also explains the European focus on certification, with companies trying to reassure their customers via sustainability labels, mostly regarding social and environmental issues. A myriad of sustainability certification schemes and labels have come into existence, with more than 500 different labels in use globally. Quite a contrast with the U.S., where environmental legislation is every bit as strict as in Europe, but the focus is more on verification than certification through the use of voluntary schemes and auditors from independent third-parties. For example, USDA inspectors will audit farmers who qualify for USDA conservation programs. The vast majority of U.S. farmers join these programs which – although voluntary and supported by financial incentives – are strictly scrutinized by USDA. This ensures compliance, combined with heavy penalties for any abuse or failure to meet these programs’ conditions. Given the increasing internationalization and complexity of the agro-food chain, both Europeans and Americans share their interest in converging their approach to foster sustainable practices on farms and in the agricultural supply chain at large. New forms of collaboration based on trust between sustainable stakeholders in the EU and the U.S. come into existence. 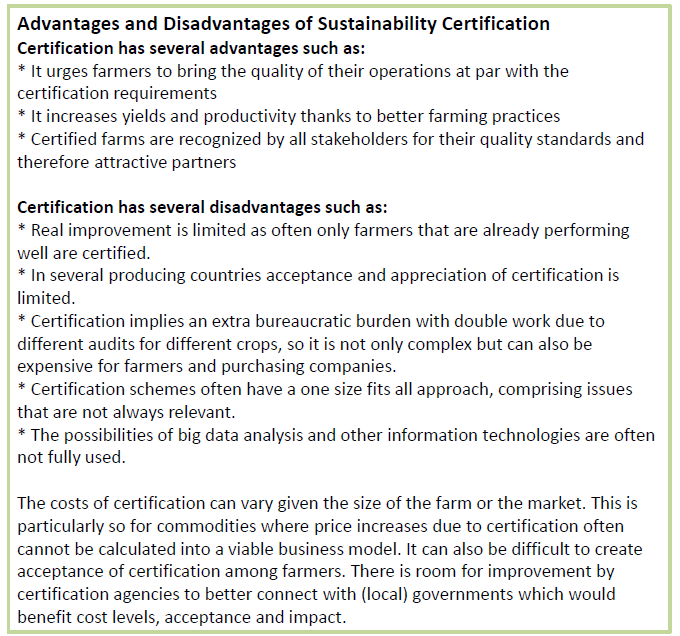 Also in Europe, there is an increasing realization that the ‘abundance’ of labels and schemes for sustainability certification needs to be reduced (see box text ‘disadvantages of certification’). On the other hand, increasingly U.S. retailers and manufacturers acknowledge the importance of checking the environmental impact of commodities before they are imported from non-Western regions. A due diligence approach with a risk assessment and good upfront analysis to prevent environmental damage could fit well with both European and U.S. stakeholders. One example of this ‘new’ form of collaboration is The Sustainability Consortium (TSC) which has created toolkits for buyers and manufacturers of consumer goods to jointly and continuously improve the sustainable performance of individual product items. With a U.S. and EU operation, TSC is well established on both sides of the Atlantic. Another route to improvement is by having sustainability protocols and schemes benchmarked by an independent authority – such as the International Trade Center – to recognized international guidelines such as those adopted by FEFAC (the European Feed Manufacturers’ Federation) and SAI (Sustainable Agriculture Initiative Platform). Leave entrenchment and confrontation behind. Converge and collaborate is the only way forward. In the interest of all of us now, and for our children and their future. 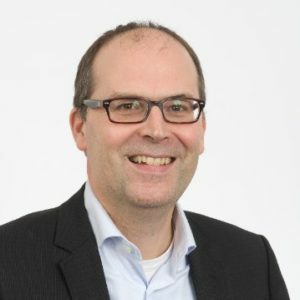 Ronald Hiel is managing partner at Schuttelaar & Partners, a Dutch consultancy company specialized in sustainable food production. He is an agricultural economist and has been active in the European agrofood chain for more than 20 years. His main field of work is supporting companies and industries in developing sustainable supply chain strategies. For more than 25 years Pascal Kuipers has been writing about the food industry, both in The Netherlands and abroad. He worked as chief editor for several magazines and as a self-employed writer he worked for media as well as corporate clients. 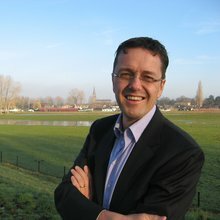 Since February 2016 he is senior advisor/communication specialist of the sustainable agriculture team of Schuttelaar & Partners. The above work, “Colloborate and Converge,” was commissioned by the U.S. Sustainability Alliance and represents the views of the authors only. One’s view of “proving sustainability in food production and the supply chain” may also depend in part, upon where one lives. The U.S. Sustainability Alliance (USSA) comprising American farmers, fishermen and foresters was formed by recognizing that sustainability is not an arbitrary threshold, but rather a commitment to continuous improvement and innovation. A goal of the Alliance is to share U.S. stewardship and sustainability practices with colleagues and counterparts for greater mutual understanding of resource management practices.